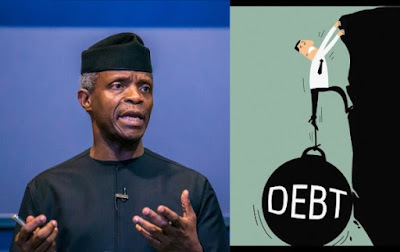 Vice President Yemi Osinbajo who spoke at the 50th convocation of the University of Lagos in Akoka, disclosed that Nigeria’s debt profile is among the lowest in the world. Osibanjo who delivered UNILAG’s convocation lecture with the theme, “Nigeria Rising: The Path to Prosperity", said Nigeria's debt profile is among the lowest in the world when compared to the size of the economy. He further disclosed that Nigeria had stabilised at 11 per cent over the past six months. “We restored medium-term planning with the Economic Recovery and Growth Plan which served as a useful loadstone in improving macroeconomic performance, boosting the real sector of the economy and building infrastructure. The decline in growth, which started at the end of 2014, has been reversed, inflation has stabilised at about 11 per cent over the past six months and our current account was in surplus around 1.3 per cent of the Gross Domestic Product last year. “Our foreign reserves can cover at least six months of import of goods and services and despite understandable concerns, our debt burden is only about 22 per cent of the size of our economy, which is one of the lowest ratios in the world.“We have very clear objectives. As you know, the problem of our country is not the planning or designing of great projects, it is in the actual implementation. We are fortunate that Muhammadu Buhari is not an orator, he is a doer" he said.